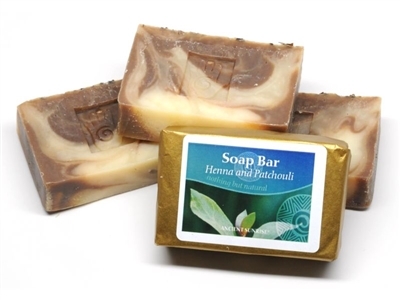 Ancient Sunrise soaps contain no harsh detergents. They're made using natural oils, such as organic coconut oil, organic olive oil, organic palm oil, organic sunflower oil, and organic shea butter and scented with essential oils. They're great for travel, camping or to carry in your gym bag. The discount will be applied in your shopping cart. Offer ends May 10. The spring to summer bodyart season is beginning and "Europe" has body art patterns derived from Ancient European folk art, for fertility and springtime renewal. 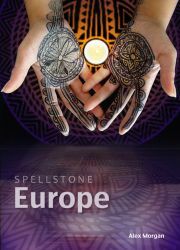 "Europe" is a Spellstone pattern book by Alex Morgan. In Middle Eastern, Levantine, and Maghreb Christian communities, women henna their hands for Easter celebration. "Europe" is free to download and to use as a sourcebook for your art projects. 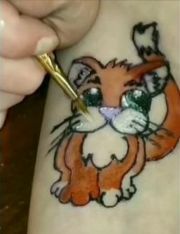 A short video demonstration of temporary bodyart as an 8-step process. Back to Nature: Is Henna the Future of Commercial Hair Dye? Commercial hair dye companies are slowly learning a painful secret: “Fast, easy, and cheap” has been beneficial for business for just over a century, but will not be sustainable in the coming decades. How To: Celtic Style Designs in Temptu® Body Paint and Becoming Moonlight® Gilding Powder. History tells of Celtic warriors painting themselves blue before battle. We see these images on the screen in such as Braveheart and King Arthur. In the television show, American Gods, based on the book by Neil Gaiman, the character Mad Sweeney appears with shining blue streaks across his face and chest– clearly a brighter, more stylistic homage to the traditional body art called woading.